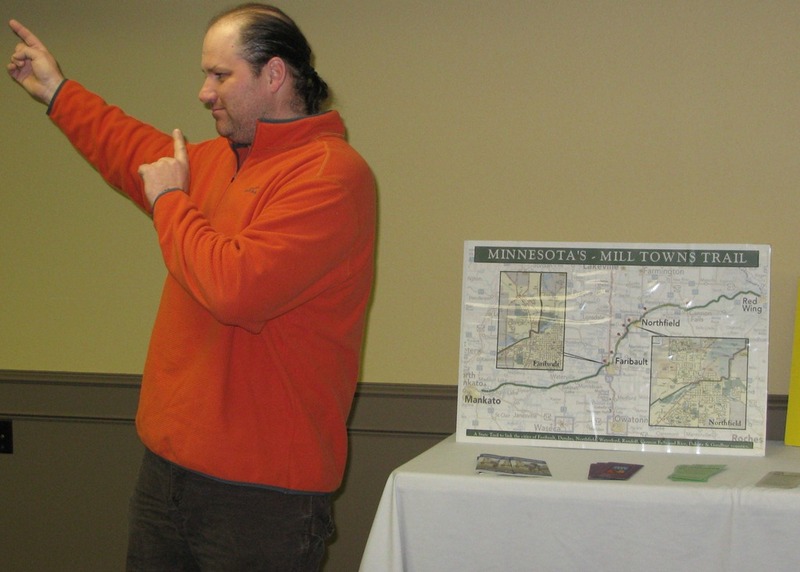 Mill Towns Trail representatives Peg Prowe and Glenn Switzer and Northfield City Administrator Joel Walinski presented at yesterday’s NDDC downtown forum at the Archer House. Lots happening this year! They said they’ll post the news online someplace. Maybe here? 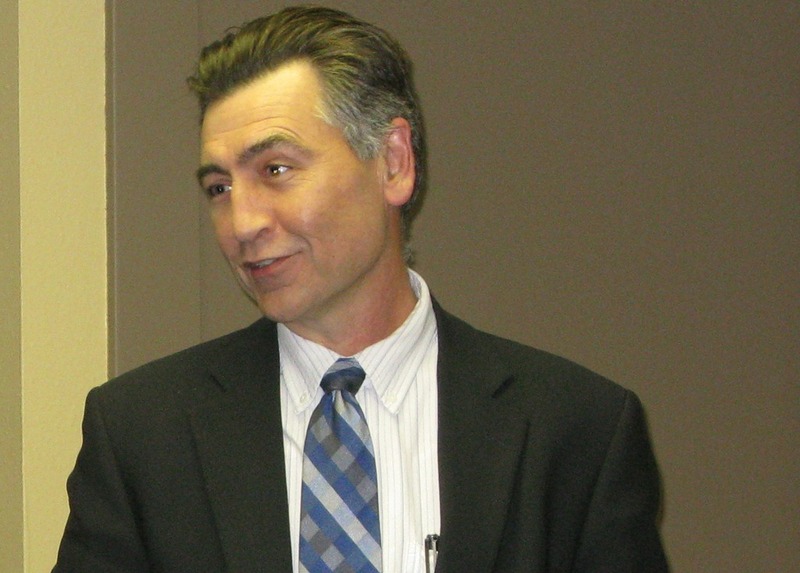 At this NDDC forum in April, it was announced that a 3 mile trail on the east side of the river between Babcock Park and Dundas would be constructed. Anyone know why this wasn’t done? Griff: I’m not absolutely sure about this, but I think the trail you’re speaking about was part of the council discussion when they recently reviewed the recommendations of the streetscape committee. 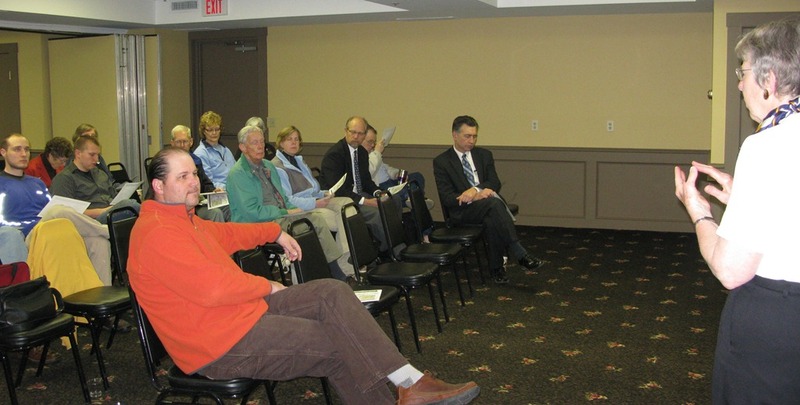 The council was not as interested in some of that committee’s recommendations as they were in improving the “connectivity” (BIG buzzword these days) along some areas adjacent to HWY 3. 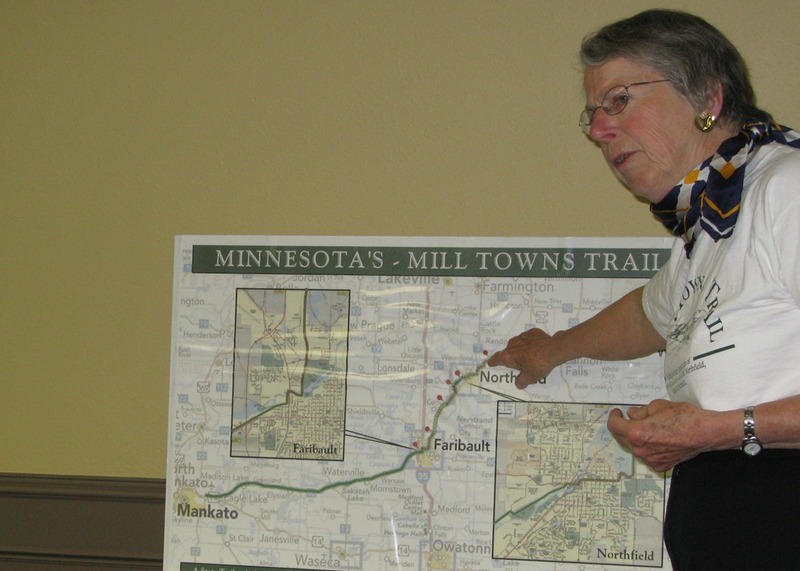 Those areas being, as I recall , the trail you’re referencing , and a better/safer walking trail around the St.Olaf/Hwy 3 area, coming down from the North/Greenvale. You should really ask Mayor Rossing about this one. I asked her the same question at the Celebration of the Link back in July and it had something to do (if I remember correctly) about the cost-sharing agreement between government entities for the (I think) water and sewer project underneath this planned bike trail.